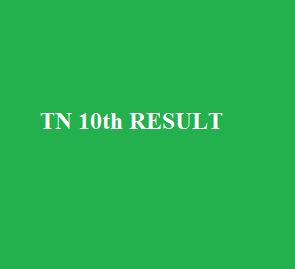 Tamil Nadu State Board of Secondary Education conducted 10th exam 2016 on march and finished the exam on April 11.Tn 10th result 2016 will be published on may 3 week (or) later weeks. Every year Tamil Nadu State Board of Secondary Education conducts 3 exam for sslc examination. The first exam is common exam for 10th students which was conducted mostly at march to April month.The second exam is for those who fail in subjects after the result.It is called as special supplemental exam.Special supplemental exam will be mostly conducted in the month of june and july. The special supplemental exam helps students to clear the subjects. The third exam is the Supplementary Examination .In the month of September and October , the supplementary exam will be held. This exam is helpful for students who want to prepare for some time.This time Directorate of Government Examination tried to finish the exam quickly due to elections.At the same time they prepared the time table without affecting the students.The teachers will face double work in the may month .They are correction of papers and election works.So this year the tn 10th result may take some delay upto 3 weeks.However, it was believed that the result will be published like previous year without taking much delay. In 2016, maths subjects are expected with more centums. However there is increase in centums in science subjects also.Last year the first three ranks in tamilnadu state took by 450 + plus students which is very high.And this year the questions were easy .If the students prepared the previous question papers they definitely feel the question easily.Some students at the end of 2015 due to heavy rain met deeply affected in their studies. Tamilnadu state Government take various measures to solve this issue by providing books and question bank guides. Tn 10th result 2016 will be published at the following sites.